Have you always dreamed of a backyard pool? Looking forward to days spent in the sun and water? If so, it may be time for you to install your own backyard pool system. Owning a pool does come with a few pros and cons that should be considered before installation. Are you being held back by concerns about maintenance or cost? Included here are a few things you should consider before installing your backyard pool. Backyard pools are a great way for your family to exercise more. Swimming is the ideal low-impact athletic activity that can work all muscle groups without creating strain on your joints. With the pool easily accessible in the backyard, it can be easy for adults and children to feel inclined to go for a swim on a regular basis. There is no question that having an open pool can provide dangers to small children who have not yet learned to swim. Any pool owner must be responsible about installing locking fences around the entrance to their pool. As the pool owner, you also are responsible for any loss or injury caused in the pool. 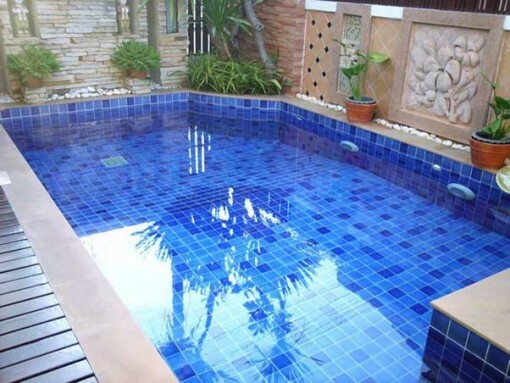 It is more cost-effective to purchase a home that already has a pool than to install one yourself. However, if you do choose to install one, be sure it is primarily for your own enjoyment and not just for a boost in resale price. Your home will sell for more with a pool, but you may not recoup your entire pool investment. Most pool owners are aware that taking care of a pool is a fair bit of work. You will have to utilize chemicals to balance the pH levels and kill bacteria, as well as clean out debris and replace filters. It is possible to hire someone to do all pool maintenance for you, but it will be an additional monthly or weekly cost. Keep in mind that failing to properly maintain your pool can lead to illness for your swimmers, algae development and dangerous bacterial growth. Are you feeling stuck in the technology age of child-rearing? Frustrated that your teens hardly look up from their phones? Installing a pool may be just what you need to create quality family time together. Your kids will be unable to utilize electronics in the water and will be forced to interact with family members. Lazy summer evenings spent lounging in and around the pool will create priceless family memories for years to come. While having a pool is a significant investment and will cost to maintain, it can help lower your entertainment budget. If your home becomes a destination, it will be easy to invite friends and family over for evenings spent poolside. No more paying for expensive restaurants just to get together, simply barbeque a few burgers and sit by the pool.